Buying a home is considered one of the most important investments most people will make throughout their lives. When making such life-changing decisions, finding the correct, independent mortgage advice can be priceless when trying to seek the best-suited mortgage for you. This can be quite overwhelming, particularly if you are bombarded with a list of different choices with no actual knowledge of what they offer. There are two types of mortgages currently available on the market which we have listed below, along with their features to give you a slight head start when looking for a new mortgage. The first mortgage type available to you are repayment mortgages, also known as ‘capital and interest repayment’ mortgages. Each month, a single payment is made to cover the interest, plus some of the capital borrowed. Earlier on, a greater proportion of the payment is used to pay off the interest. Whilst the capital is gradually repaid, the interest portion decreases and an increasing percentage of the monthly payments reduce the amount of outstanding loan until it is repaid completely by the end of the term. The interest you pay will be dependent on whether it is charged on a daily, monthly or annual basis. These mortgages hold the least risk, providing all monthly payments are maintained so that the loan will always be repaid at the end of the term. 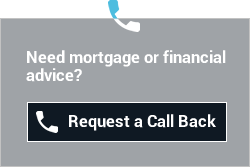 Your alternative option are interest only mortgages, whereby your scheduled monthly payments will only cover the actual interest due and the original capital amount remains outstanding throughout the term of the loan. This therefore means that you will be held responsible for making the necessary arrangements to repay the capital at the end of the mortgage term because the mortgage loan does not reduce, therefore you will have to ensure the relevant means are in place in order to repay the lump sum at the end of the mortgage period. Ultimately, what this means is failing to make suitable arrangements to pay off your mortgage could result in your home being at risk.